Ebay Daily Deals: Noise Canceling Headphones only $6.95 shipped! It sure took them long enough, but Ebay has a new Daily Deal site that you can sign up for HERE. I have been watching it for a few days and they have had some good stuff and I have had good reviews. Thanks Wheelndealmama. They have had some really high priced items for a good price and they have had some really cheaply priced items that were a GREAT deal! Today you can pick up some AWEOME Christmas presents for your kids for pretty cheap! 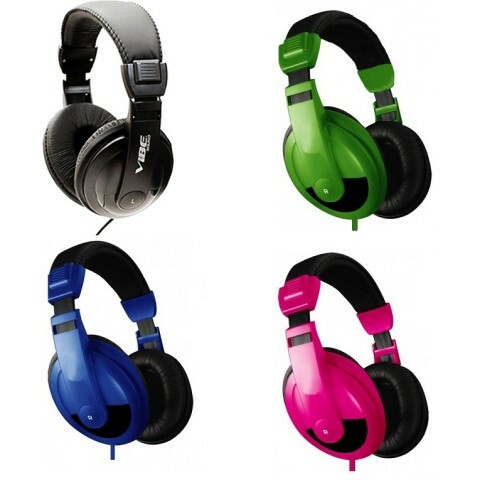 They have the Vibe Sound DJ Noise Reduction Headphone (normally $49.99) for only $6.95 with free shipping! At this price I can even get my little kids some and not worry about the breaking them, and I like the big over the ear kind for them anyway! Just ordered my pair in pink. My daughter is going to love these!! !